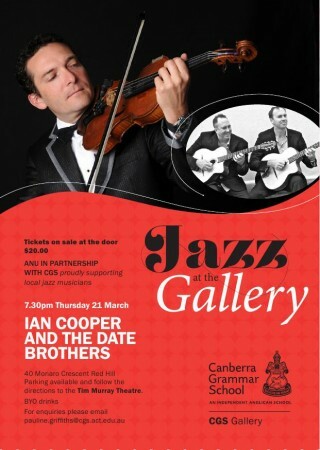 Ian Cooper is Australia's most exciting virtuoso Jazz violinist. 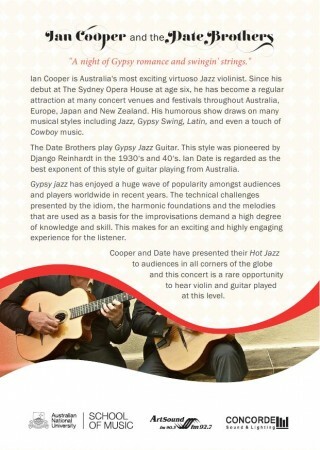 Since his debut at The Sydney Opera House at age six, he has become a regular attraction at many concert venues and festivals throughout Australia, Europe, Japan and New Zealand. His humorous show draws on many musical styles including Jazz, Gypsy Swing, Latin, and even a touch of Cowboy music.